Lodge, The (television) Mystery/drama series with original songs on Disney Channel, premiering in the U.S. on October 17. 2016, after a September 23 release in the UK and Canada. Skye (15), after losing her mother, returns with her father to North Star Lodge, the family-owned country hotel where her mother was raised years ago. Eager to make a fresh start, Skye forges friendships with the locals who live and work at the lodge, but when she learns her father is planning to sell the lodge that holds so many treasured memories, she is determined, with help from her newfound friends, to find a way to change his mind. 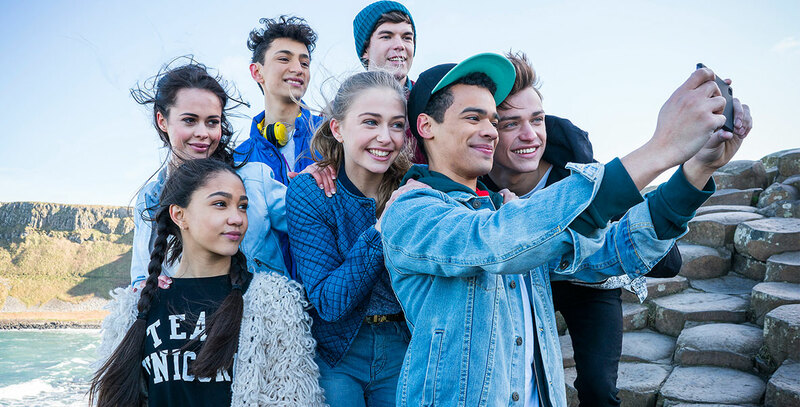 Stars include Sophie Simnett (Skye), Jade Alleyne (Kaylee), Thomas Doherty (Sean), Luke Newton (Ben), Jayden Revri (Noah), Bethan Wright (Danielle), Joshua Sinclair-Evans (Josh). Filmed on location in Ballynahinch, Northern Ireland. Produced by Zodiak Kids Studios. Inspired by the Disney Channel Israel series, North Star.